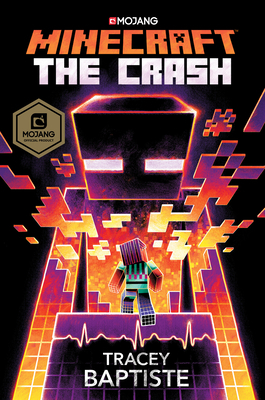 NEW YORK TIMES BESTSELLER • The brand-new official Minecraft novel is an action-packed thriller! When a new virtual-reality version of the game brings her dreams—and doubts—to life, one player must face her fears. Bianca has never been good at following the plan. She’s more of an act-now, deal-with-the-consequences-later kind of person. But consequences can’t be put off forever, as Bianca learns when she and her best friend, Lonnie, are in a terrible car crash. Waking up in the hospital, almost paralyzed by her injuries, Bianca is faced with questions she’s not equipped to answer. She chooses instead to try a new virtual-reality version of Minecraft that responds to her every wish, giving her control over a world at the very moment she thought she’d lost it. As she explores this new realm, she encounters a mute, glitching avatar she believes to be Lonnie. Bianca teams up with Esme and Anton, two kids who are also playing on the hospital server, to save her friend. But the road to recovery isn’t without its own dangers. The kids are swarmed by mobs seemingly generated by their fears and insecurities, and now Bianca must deal with the uncertainties that have been plaguing her: Is Lonnie really in the game? And can Bianca help him return to reality? Tracey Baptiste is the author of several works of fiction and nonfiction for children including the Jumbies series and The Totally Gross History of Ancient Egypt. Baptiste volunteers with We Need Diverse Books, The Brown Bookshelf, and I, Too Arts Collective. She teaches in Lesley University’s creative writing MFA program, and runs the editorial company Fairy Godauthor.